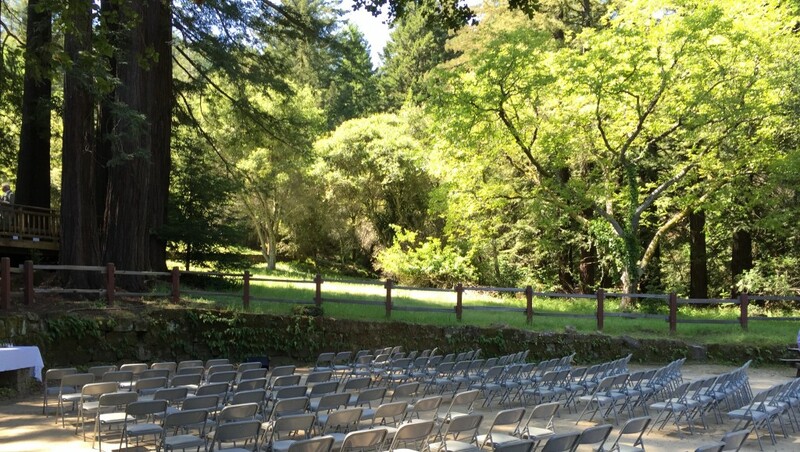 Sanborn Park, where SVS performs our summer repertory, is a beautiful site for weddings and other special events. 140 chairs at an April wedding. 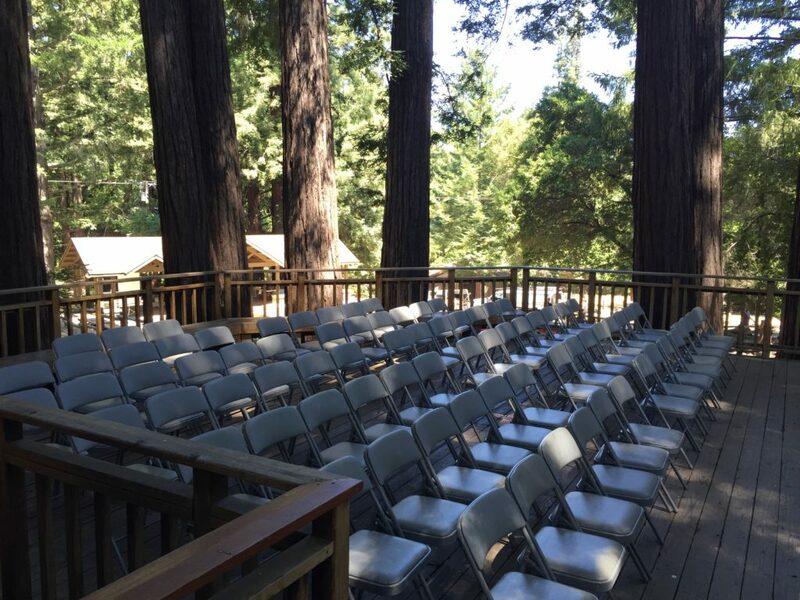 Silicon Valley Shakespeare is happy to help your celebration by renting our audience seating to your event. For information on rates, scheduling, setup/return, and more, see our Chair Rental Brochure. 80 chairs at a July wedding. Got questions? Want to schedule?